AU-2014 Drives for the First Time! AU-2014 took its first steps today as AUFSAE engineers put the finishing touches on the car they have worked so hard to build over the past six months. Utilizing a light-weight ten inch wheel design, and all-new carbon fiber monocoque, AU-2014 embodies what Auburn Engineering stands for as this new competitor pushes the boundaries of vehicle design. 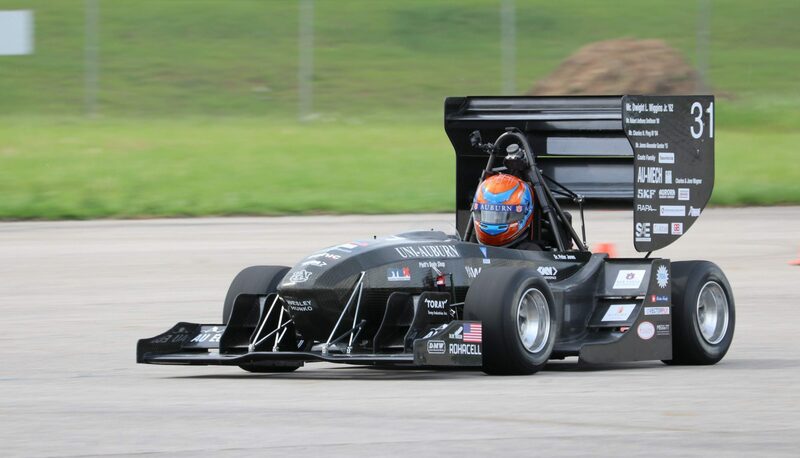 The new machine will begin testing this week at the Auburn University Regional Airport as the team prepares to take on the one of the world’s toughest FSAE competitions in Brooklyn, Michigan this May. The team now enters testing season and will be working each day to prepare the car to tackle both static and dynamic events. Over the next three weeks the team will develop AU-2014 into a reliable race-ready machine, and will be extracting its potential through optimizing the vehicle and drivers for each dynamic event. The team looks forward to presenting AU-2014 to the public at the 2014 Car Release Ceremony on Saturday, May 10th. Stay posted for invitations including details on the event! Thank you for your support! We are greatful for the opportunity to build the most promising Auburn Formula SAE machine to date. The team cannot wait to represent Auburn University at FSAE Michigan, FSAE Lincoln, and Formula Student Germany this summer! 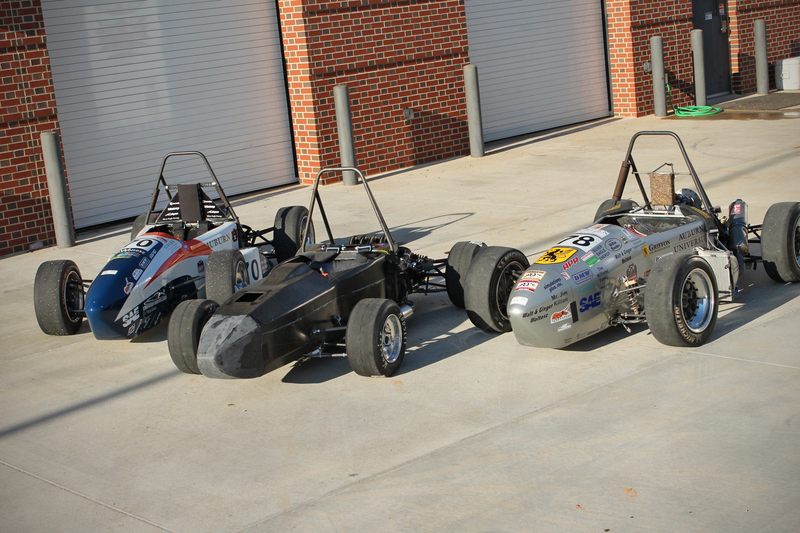 Previous PostPrevious National Instruments and Auburn FSAE Form Technical Partnership! Next PostNext Greetings from AUFSAE!